It’s a wise investment in your company to buy small business insurance. This can guarantee your financial health over the long haul. However, before rushing in to snag a policy, it’s best to ask yourself some key questions. This can be the difference in getting the right policy. Below are a list of questions that must be considered. What type of insurance policies do I need? 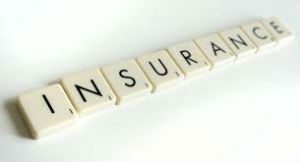 Insurance policies are determined by a couple factors: your business operations, its location, exposure to risk, and an assorted number of other factors. In fact, almost all businesses require general liability insurance. This is one of the most standard policies that business owners look for with Insureon. A general liability policy provides coverage for customer injuries along with damage to customer property at your business. In many cases, this kind of policy is mandatory in order to sign a lease. Depending on the type of business, other kinds of insurance might be necessary including errors and omission insurance. An E&O policy is intended to guard against claims of inadequate work or negligence. You should also consider workers’ compensation insurance. This gives benefits to an employee who becomes injured or ill during work. Most states require this type of insurance. Finally, it can be smart to have a business owner’s policy. In other words, this type of policy combines general liability with property insurance. The simple answer to this is to call your insurance representative’s claim department. They will walk you through the process. 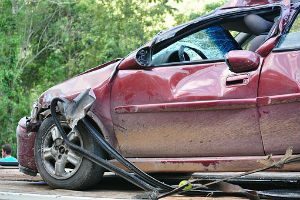 It should be noted that the sooner you file the claim, the sooner it can zip through the process. How much does a policy cover? Often policies offer two different kinds of payment limits. One is an aggregate limit. Essentially, this means the most your insurance will pay for claims in a single year. There is also a per-occurrence limit. This is the maximum you’re entitled to for any individual claim. Limits will be determined by the size of your business, your type of industry, and, of course, your claims history. What are ways I can save money on insurance? The easiest way to preserve money is to bundle policies. Furthermore, the other answer is to simply create a safe work space so issues don’t arise in the first place.